While mortgages with monthly payments are the most common, biweekly payment plans can help you pay off your mortgage faster and with less interest, especially if you make additional principal payments. Since each year has 12 months and 52 weeks, a monthly payment plan has 12 payments--24 if it is split bimonthly--per year, while a biweekly plan has 26. The two extra payments will either pay the mortgage off sooner or lower the average amount you spend monthly on the mortgage. Use the calculated values with the payment equation to determine the amount of each payment. Multiply the loan amount by the period interest rate to determine the amount of interest in each payment. Subtract that amount from the total payment to get the principal in the first payment. Subtract the calculated principal from the loan balance to obtain the new loan balance. Use this new balance to calculate the interest and principal for the next payment. 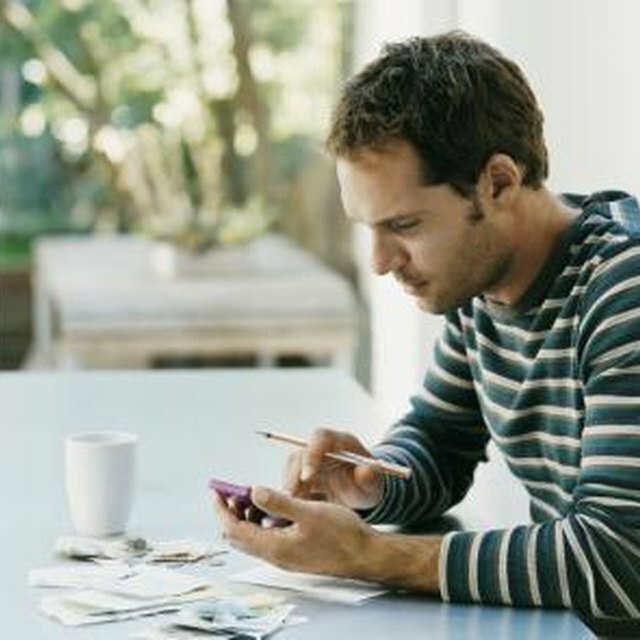 Calculate the new loan balance and repeat this process until the remaining balance is zero.